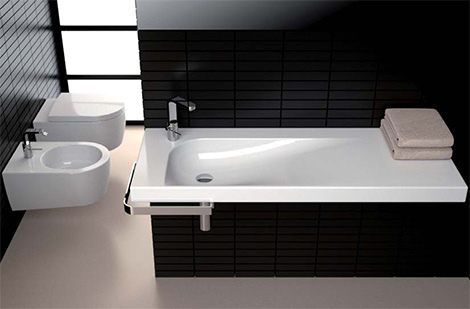 In bathroom ideas, Black and white bathroom is the smart and creative bathroom color with a simple color composition, here are the black and white bathroom wash basin by Nilo Giaocchini. An Italian designer, Nilo Gioacchini designed new innovative washbasin called Grandangolo, it’s really have a visual stunning. Modern look, minimalist with smooth shapes creating a sensation of harmony. Great to make any modern interior design style. The Grandangolo featured a heat -emitting countertop through ceramic surfaces. 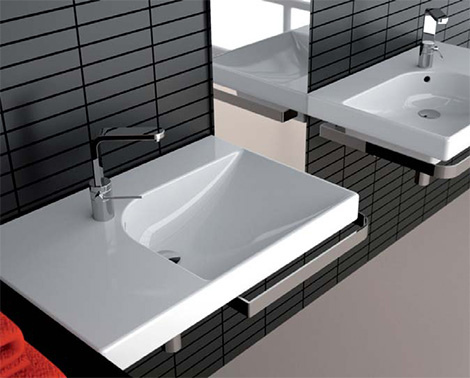 Grandangolo, the new dynamic sink from Hatria will make your bathroom look different and modern.